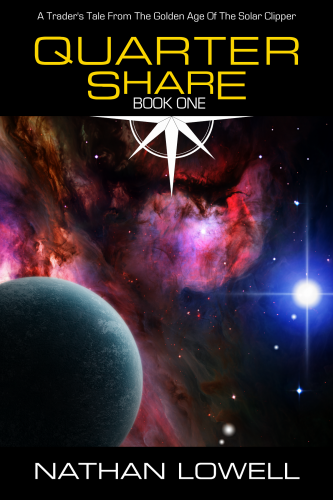 When his mother dies in a flitter crash, eighteen-year-old Ishmael Horatio Wang must find a job with the planet company or leave the system--and NerisCo isn't hiring. With credits running low, and prospects limited, he has just one hope...to enlist for two years with a deep space commercial freighter. Ishmael, who only rarely visited the Neris Orbital, and has never been off-planet alone before, finds himself part of an eclectic crew sailing a deep space leviathan between the stars. Join the crew of the SC Lois McKendrick, a Manchester built clipper as she sets solar sails in search of profit for her company and a crew each entitled to a share equal to their rating.